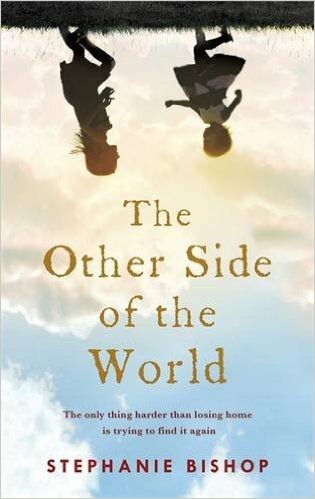 The advance reviews for The Other Side of the World have been outstanding, so I was pleased to have been asked to write a review. This is not a fast paced novel, by Stephanie Bishop, it is a book that moves along at a steady pace that allows the reader to be drawn into the mesmeric prose, if that was part of the plot for the story then it really works. I fell for the story line very quickly. The start of The Other Side of the World is set to a backdrop of Cambridge and Charlotte is a young wife and mother and is struggling with the idea of being both. On the other hand Charlotte’s husband Henry as born in India it is the year 1963 and another cold wet winter looms. Something happen that is about to change their lives, a leaflet drop through their door one day, this starts Henry to think of Australia, a new start, warmer weather, all the usual things that comes along, health, wealth and happiness. Basically a new life. Anyone setting off to the other side of the World is bound to miss home, family and friends, Charlotte is more than aware of this fact and it is playing on her mind. Charlotte is wary of moving to the other side of the world, but reluctantly she agrees and the young family are transported to a new life in Perth, Australia. From here on the story is one of sadness and at times heartbreak as the promise of ‘The new life’ never really materialises and soon both Charlotte and Henry become ‘lost’ the strain of being a young mum so far away from home starts to tell. Meanwhile for Henry the promise of the career never really takes off. What we start to see from here is the sheer sadness as you watch their marriage start to come undone. What I found upsetting was how Charlotte started to take it out on the two little girls it is utterly heart-breaking to read, but Bishop writes with such prose that you are drawn in to the story but you feel helpless to do anything. What the author writes with such clarity is Henry’s devout love to Charlotte despite his wife’s doubting of herself at times you read of the strong bond between the two but all through there is Charlotte self –doubting even self-loathing to a degree, can Henry save their failing marriage? We read of two countries one being home and the other Australia a brave new world but starting to mature and how Bishop weaves into the storyline about climates, this is done with such brilliance. I loathed to go give anything further away regarding the story as I think The Other Side of the World deserves to be read. This is a novel destined for many good things in the months ahead and thoroughly deserves the success that will surely come its way. A stunning emerging Australian writer, Stephanie Bishop’s first novel was The Singing, for which she was named one of the Sydney Morning Herald’s Best Young Australian Novelists. The Singing was also highly commended for the Kathleen Mitchell Award. Her second novel, The Other Side of the World was recently shortlisted for the 2014 Australian/Vogel’s Literary Award under the title Dream England. 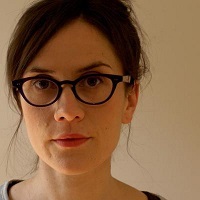 Stephanie is a frequent contributor to The Times Literary Supplement, The Australian, The Sydney Review of Books, The Australian Book Review and the Sydney Morning Herald. She holds a PhD from Cambridge and is currently a lecturer in Creative Writing at the University of New South Wales. Stephanie lives in Sydney.